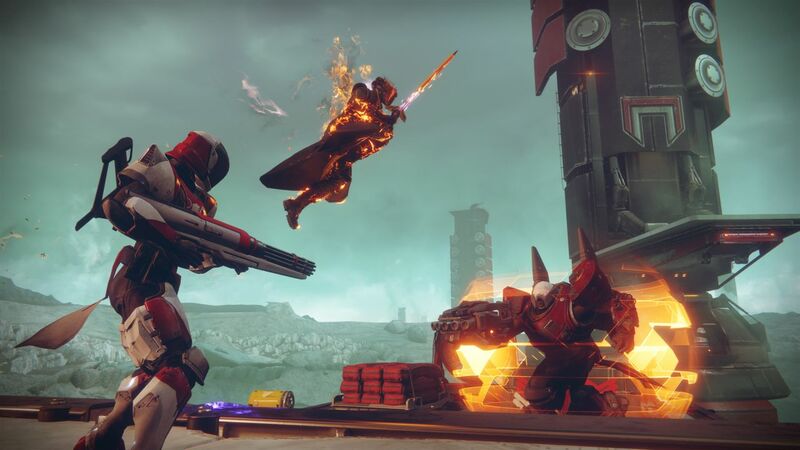 Strikes in Destiny 2 represent one of the main endgame activities, which you're going to have to grind out repeatedly if you want to get your hands on powerful loot items. In this Destiny 2 Strikes guide, we'll be providing you with full Strike walkthroughs for every mission in the game, and much more. If you need anything else at all on Destiny 2 that isn't strike related, including the latest details on the Leviathan Raid and every Exotic weapon we know of so far, be sure to head over to our Destiny 2 guides walkthrough hub. Firstly, if you're new to Destiny in general, you're probably wondering what a Strike actually is. 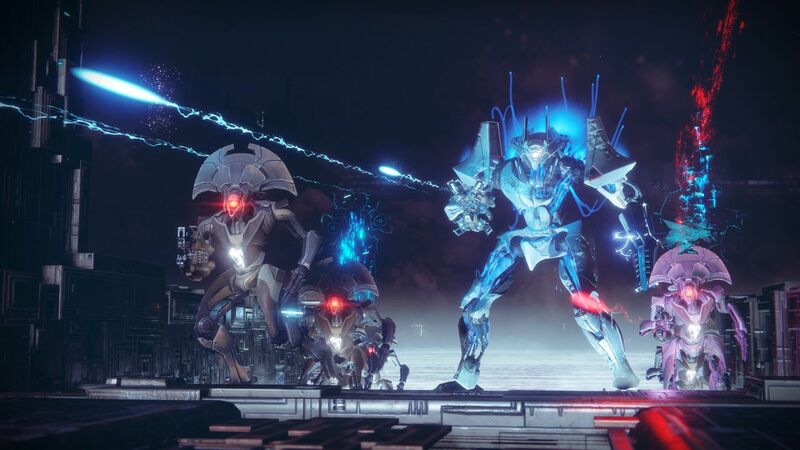 A Destiny 2 Strike is played by three players in total, and is effectively a gauntlet of different enemies in various locations, all with the end goal of defeating the final boss of the Strike, and scavenging all the loot you can get your hands on. Strikes aren't endgame content, as different Strikes are made available as you progress through the main campaign of Destiny 2. You can later go back and play lower level Strikes on higher difficulty settings for increased rewards, such as increased chances of getting a certain loot item. Unfortunately you're slightly out of luck if you've purchased the Xbox One version of Destiny 2, as Bungie has cut a deal with PlayStation meaning that the Lake of Shadows Strike will be only playable on the PS4, for the near future at least. Aside from that, all five other Strikes will be available on the Xbox One and PC versions of Destiny 2. You might think that Strikes in Destiny 2 would be available very early on in the game, as they were in the original game. This time round, Bungie are holding back the Strikes until you've made it to a certain point in the campaign. Only once you've been to Io, and reunited Ikora Rey with Zavala and Cayde-6, will Strikes become available. We'd estimate this is roughly 6/7 hours into the campaign, and you'll need to be overall level 12 before you can take on Rey's mission on Io. Once you have reunited the three leaders back at the Farm, head up to the top of the main building and spead to Commander Zavala, who will announce that Strikes are back on the menu. Below, you'll find our complete list of Destiny 2 Strike guides, which we'll be building upon whenever Bungie adds any new Strikes to the game through DLC (like they did with the Taken King DLC for the original Destiny). In this section, you'll find our complete guides to all the brand new Strikes featured in the Curse of Osiris expansion. Just below, you'll find a list of every current and previous Destiny 2 Nightfall Strike in at the time of writing. The Nightfall Strike changes every week on the Tuesday, with a brand new Strike being selected for the Nightfall event. Whenever a new Strike is introduced to the game in the Nightfall form, we'll update the list below accordingly. For more information on these special events, head over to our complete guide to Nightfall Strikes in Destiny 2, including when they are reset, what Power Level you need to be to access them, and more. As we previously mentioned, the general goal of Strikes in Destiny 2 is to not only defeat the final boss of the Strike as a group, but also to obtain the best loot possible while doing so. The loot from each Strike is somewhat randomised, meaning you can never be 100 percent sure of the items or Engrams you're going to get from each Strike. Although the loot itself can be randomised somewhat, there are ways to guarantee a certain few rewards from each Strike in Destiny 2. There's a faction within the game called the Vanguard, and every time you play a Strike from the Vanguard Playlist in Destiny 2, you'll earn a certain amount of Vanguard Marks, which can then be traded in with the faction vendor in order to acquire unique and powerful items for your character. We'll have a full list of Vanguard gear right here for you as soon as uncover all the elusive items that the factions offers in Destiny 2, so make sure to check back on this page in the near future. Make sure to check out any of our other Destiny 2 guides here at USgamer, for example we have a guide on explaining the Warlock subclasses, as well as our full Destiny 2 Leviathan Raid guide.